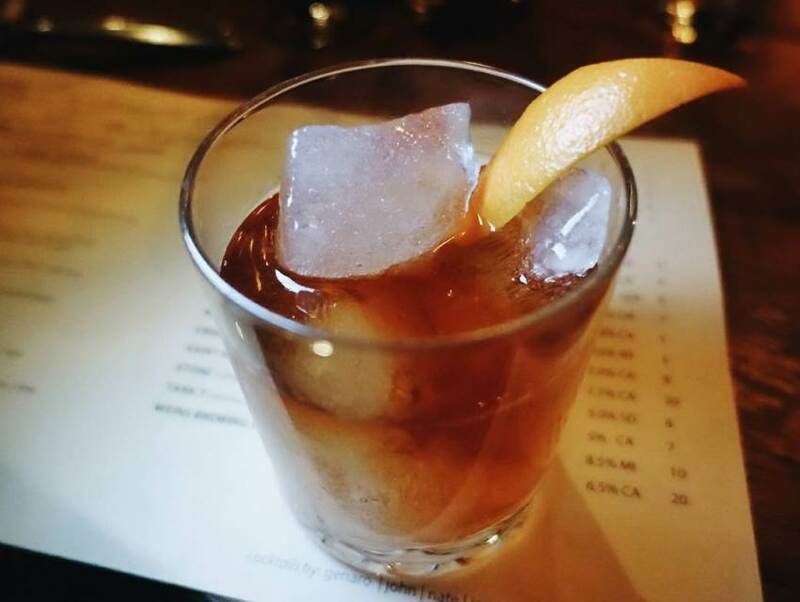 The Old Fashioned is currently one of the most requested cocktails in any bar, and if it’s on a menu, chances are it’s the most popular drink in the place. Melrose Umbrella Company has wisely dedicated an entire menu to Old Fashioned variations, and bartender Ryan Wainwright gives guests at Viviane the option to choose their favorite spirit for a DIY Old Fashioned. It’s the drink bartenders like to have fun with. So simple and straightforward, its ingredients can be switched out for something new but familiar. For his new winter cocktail menu at Cliff’s Edge barman Darwin Manahan created the perfect Old Fashioned to cozy up to on chilly nights. Made with Laird’s Apple Brandy and housemade date syrup, it emulates a warm kitchen where a freshly baked apple pie is cooling on the table. If you want to make this at home, Manahan shared his cocktail recipe below which includes how to make his date syrup. The date syrup can also be used to sweeten most everything and Manahan says he does. Coffee, pancakes, breakfast sausages, barbecue sauce, fried chicken… But if you’re lazy (like me) he says you can cheat out the date syrup by simply using a heavy barspoon of a demerara sugar and molasses mixture (1 part water, 1 part demerara, 1 part molasses) in its place. Add date syrup, Angostura bitters, and Angostura Orange Bitters (in that order) to a mixing glass. Add 1 orange peel and muddle softly to express oils. Add the apple brandy and stir to combine. Add ice 3/4 the way up your mixing glass and stir (30-40 revolutions). Strain over large rocks and express the orange oils over the top before garnishing with the orange peel. Boil water in sauce pan. Place dates in boiling water and boil for approximately 10-15 minutes. Add more water if mixture turns gummy. Let simmer for 30 minutes. Pass through fine strainer. Place date “juice” back in sauce pan. Add demerara sugar (or brown sugar) slowly while stirring. Let set to room temperature. If you are planning to keep the syrup for a longer period of time, stir in the rum.